Melbourne's Herald Sun cartoonist Mark Knight's caricature of Serena Williams throwing a tantrum at the US Open was originally printed on Monday, attracting widespread condemnation from across the world. 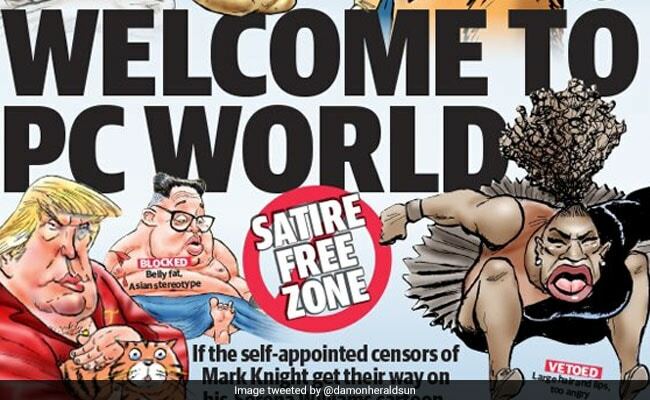 Front cover included caricatures of other Australian and foreign political leaders drawn by Mark Knight. An Australian newspaper defiantly republished a controversial cartoon of tennis star Serena Williams on its front-page Wednesday, slapping aside "politically correct" accusations that the drawing was racist and sexist. "I drew this cartoon Sunday night after seeing the US Open final, and seeing the world's best tennis player have a tantrum and thought that was interesting," he said in quotes published on the News Corp Australia paper's website Wednesday. "This is his (Knight's) job, isn't it? This is what he does for a living and we've all appreciated what he's done over the years in all different cartoons. Some of them very, very funny." 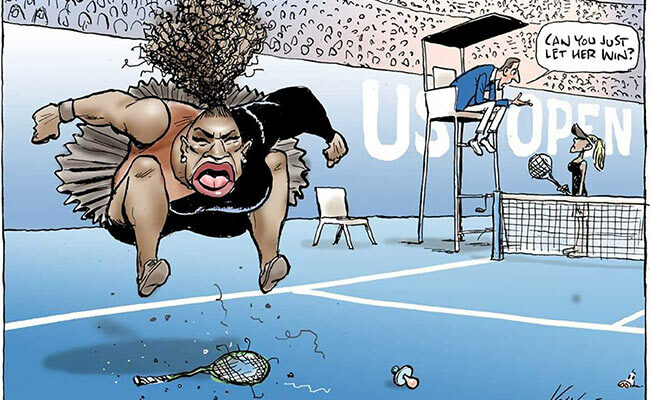 The caricature showed a butch and fat-lipped Serena Williams jumping up and down on her broken racquet. Knight's detractors included author JK Rowling, who said: "Well done on reducing one of the greatest sportswomen alive to racist and sexist tropes and turning a second great sportswoman into a faceless prop."